When the Great Depression hit, American bakers were at a loss. With the price of lemons on the rise, pie devotees searched for tangy substitutes to sweet pies, and the vinegar pie was born. 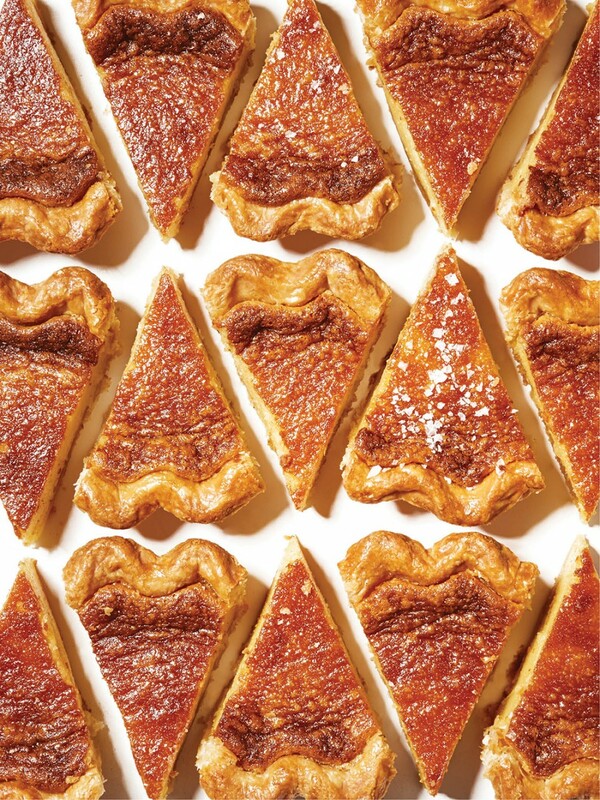 When O Pie O began in 2014, cofounders Lou Ginocchio and Ian Sobeck wanted to explore the funky-sounding pastry. But traditional vinegar pies were too plain, while honey pies were too sweet. “We decided to make it a little more luxurious,” says Ginocchio. The resulting combination is a luscious custard pie with a golden-brown top reminiscent of crème brûlée sprinkled with sea salt; its silky texture is a dead ringer for the world’s lightest cheesecake. The apple cider vinegar? Don’t worry, there’s only a tablespoon, which provides a hint of cheek-squeezing pucker that balances the sweet honey.